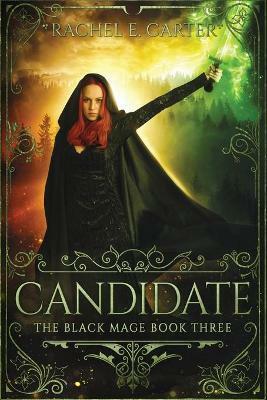 Twenty-year-old Ryiah is a black mage of Combat, but she's not the Black Mage. Yet. She's had her eyes on the legendary robe for as long as she can remember, and in just one year, she will have a chance at her country's prestigious--and only--tourney for war mages... Too bad she is going up against a certain prince--the one person she has yet to beat. The Candidacy finally arrives and a winner is robed, but something dark is lurking in her kingdom's midst. Rival nations are closing in, and it's time to make an alliance. Unfortunately for Ryiah, that's only the beginning. The worst enemy resides in the palace.